Bangkok’s shopping scene has the best of both worlds. From high-end malls filled with name brands to the cheapest of markets, shoppers are rarely disappointed upon discovering the city’s vast and varied shopping scene. That being said, there is a happy medium between the high prices of Bangkok’s luxurious malls and the bargains to be had at its overcrowded markets, and that medium is found at its outlet stores. From Thai silk to designer shoes, the wide range of products and brands found at Bangkok’s best outlet stores will please any shopper. With more than 300 shops featuring both international and Thai designers, Amarin Plaza is a one-stop destination for all of your shopping needs. Amarin Plaza has a number of different stores selling a wide variety of products. 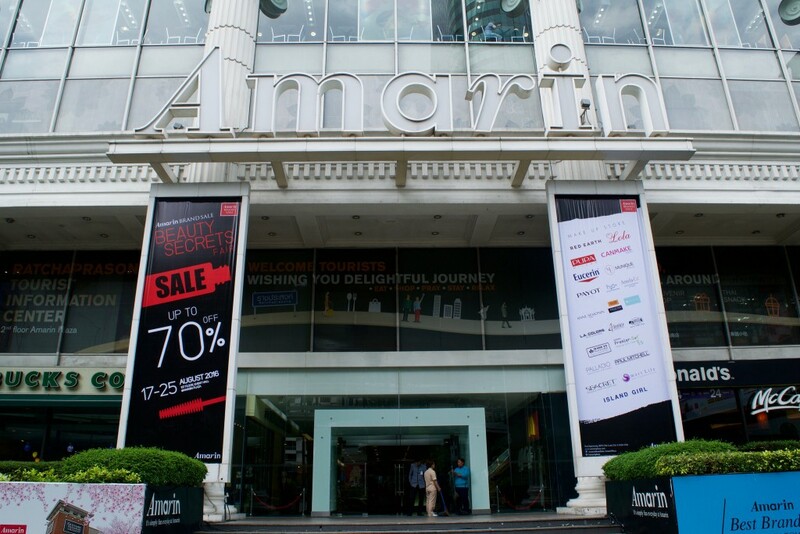 You will find fashion and fabrics, electronics, salons, health and beauty, home décor, books, jewelry, souvenirs, and much more, all at Amarin Plaza. If you build up an appetite while shopping, be sure to check out one of the restaurants that can be found here serving up Thai, Western, Japanese, and Chinese cuisine. Amarin Plaza is open daily from 10:30am to 9:30pm. To get to Amarin Plaza, take the BTS Skytrain to stop Chit Lom. The Bangkok Fashion Outlet has special prices in all of its stores all year round. This outlet has over 500 top Thai and international brands. These brands include Guess, Adidas, M & S Outlet, Gap, and Lee, to name a few. Tourists also get an exclusive gift by registering at the reception on the ground floor by presenting their passport. In case you get hungry from all of the shopping, there is a food terrace, family mart, and Costa Coffee inside the outlet. Bangkok Fashion Outlet is open daily from 11am to 8pm. To get to the Bangkok Fashion Outlet, take the BTS Skytrain to station Surasak. Then, take exit one and turn right at the Honda showroom. If you know anything about Thai silk, then you’ll recognize the name Jim Thompson, the American architect who put Thai silk on the map. Years after his mysterious disappearance in 1967, his vision of quality Thai silk is still seen today in all of his products, specifically in the Jim Thompson Factory Outlet in Bangkok. 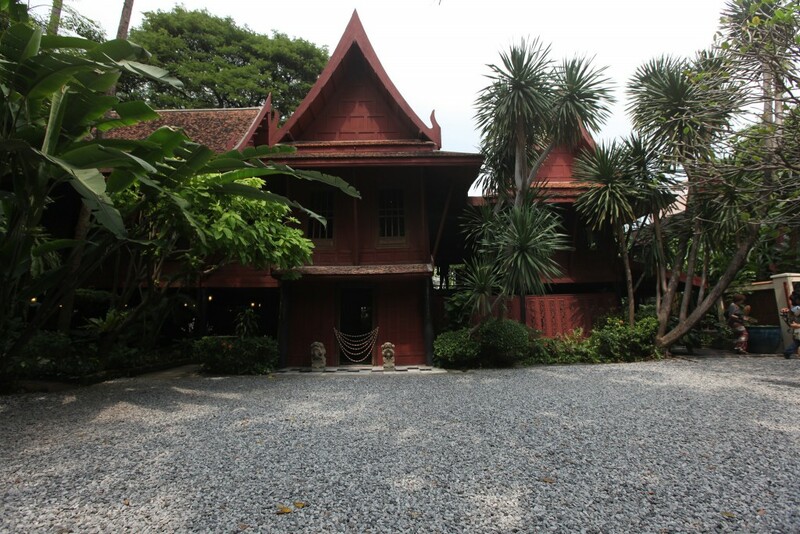 Jim Thompson has outlet stores internationally as well as in Thailand. Besides Bangkok, you can find Jim Thompson factory outlets in Chiang Mai, Pattaya, five outlets in Phuket, and two outlets in Samui. There are thirteen different Jim Thompson shops in and around Bangkok selling the brand’s silk products, but the factory outlet can be found on Soi Sukhumvit 93. It stands five stories tall and has everything from home décor to toys made of the world-renowned silk. The outlet is open daily from 9am to 6pm. The Jim Thompson outlet is about a five-minute walk from the BTS Skytrain station Bang Chak. Crazy Step is here with one of the widest assortments of footwear in Bangkok. This shoe outlet has both international and Thai brands, including imported shoes from Europe, Brazil, and other parts of Asia. Here you will find brands such as Dolce and Gabbana for a discounted price, and there are enough brands and styles to please nearly any shoe shopper. Crazy Step is open daily from 10am to 7pm.